My short answer is: No, she can’t. But Auletta does yeoman’s work explaining the irksome issue by using Sandberg as his metaphor. 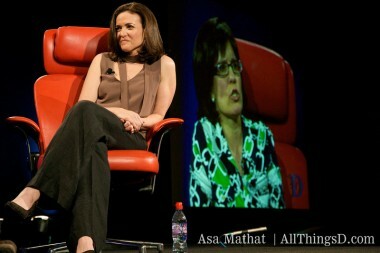 Sandberg has been very vocal about the issue of women in the workplace over the last year, in a series of speeches she has made. But, actually, the Auletta piece is mostly a full-on Sandberg profile, hitting all the obvious stops in her life and in that of Google — her previous employer — and Facebook, her current one. Also, of course, we can’t leave out the fight between those two tech behemoths. I was also interviewed for the piece, which started out as a larger one on women in Silicon Valley. No surprise, it quickly became largely about one of its most interesting ones. Oddly, in a section about women in tech, I am quoted saying that I scare men. To be fair: I am an equal opportunity terrifier. Sandberg, who comes off as quite a deft smoothie (which she is) in the New Yorker piece, is clearly not a terrifier and it seems to be working out well for her so far.